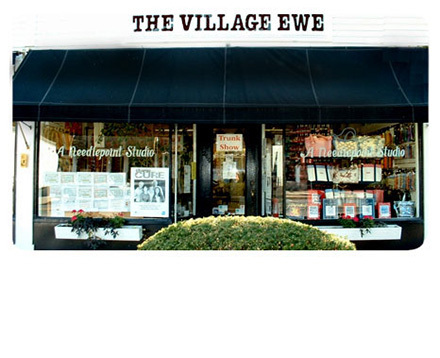 The Village Ewe is a full service needlepoint studio carrying needlepoint canvases from over 50 designers ranging from pillows, belts and handbags, to holiday stockings, ornaments and much more! Custom painting and stitching are available along with high quality finishing services. All canvases in the Trunk Show and Special Orders are 20% off. Vibrant colors and whimsical, humorous, illustrative designs, painted to the highest standards including Stockings, Ornaments, Belts, Pillows, Nativity Sets and Animals. See the Classes tab for complete Class offerings and details. Pick up a needlepoint gift certificate for your favorite person. 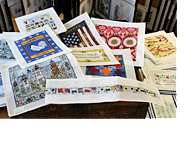 needlepoint supplies and products. Beginner and Intermediate needlepoint classes are available. ©Copyright 2019 The Village Ewe - Old Greenwich, Connecticut. All rights reserved. Site designed & maintained by Visual Media Pro.